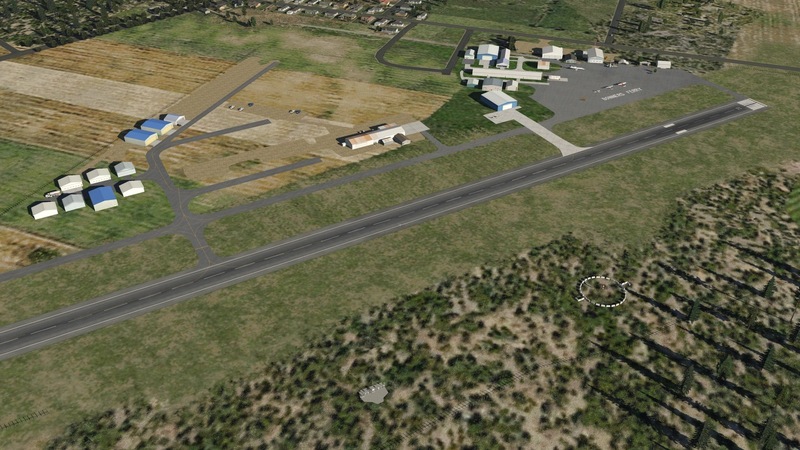 The latest leg in my Alphabet Challenge flights on PilotEdge: KRAL to KSAN. Based on few viewer requests, this is a full flight with no edits and runs about an hour in length. It’s also over orthophoto scenery, so the view is nice. Pop some popcorn or pour a drink and enjoy the flight. A wrinkle on this hop: a blown tire on takeoff. 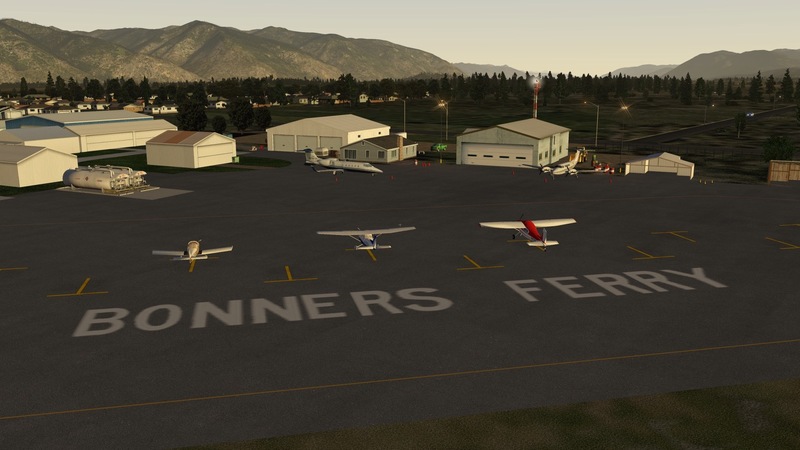 Reader Peter was kind enough to send along screen caps of the Bonners Ferry and Thompson Falls scenery with orthographic scenery underneath. It looks great, and I was very happy to see it. I particularly like how the forest patches I recently added to Bonners set up with the real world terrain. Thanks, Peter. Now I’ll get busy generating some ortho scenery for this part of the world! 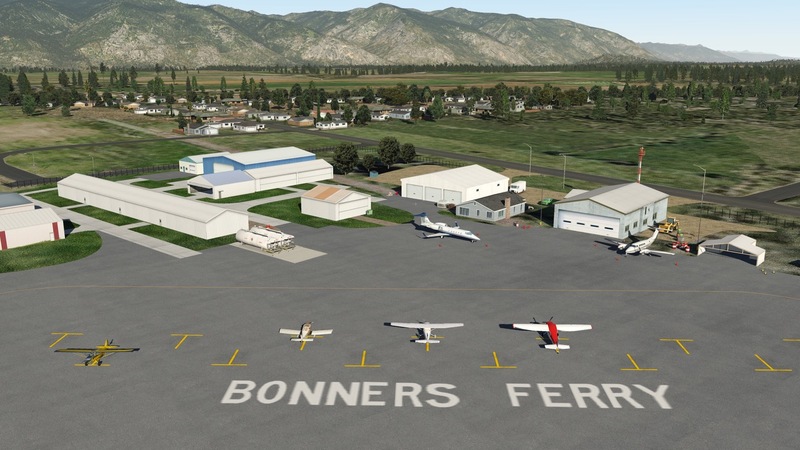 I had a viewer request to fly from Thompson Falls, MT (KTHM) to Bonners Ferry, ID (65S). So here it is. A fun flight, with changing weather along the way. 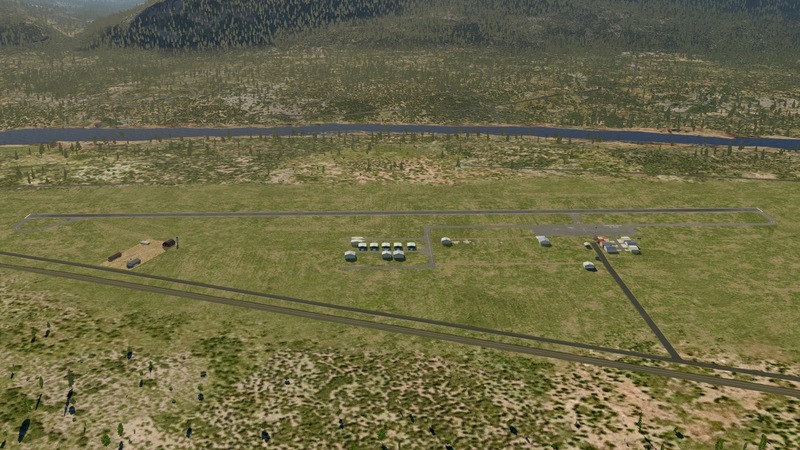 The default XP11 airports for both strips were pretty spare, so I designed my own. If you’d like to download them you may find them under the Custom Scenery tab at the top of the page. Weather on this flight by xEnviro, and these are default XP 11 textures with no photo scenery on top of HD Mesh 3. 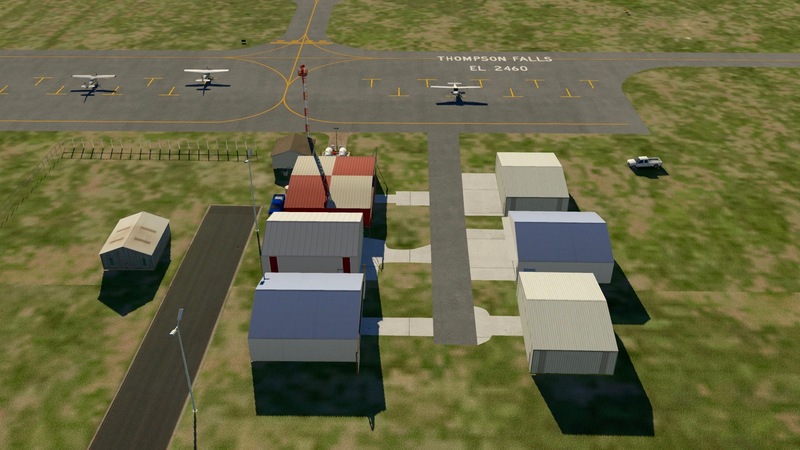 As always, if you want to learn more about the sim, please see http://www.ontheglideslope.net. Thanks for watching. I was asked that question today in the YouTube comments, and I thought it was a good one. 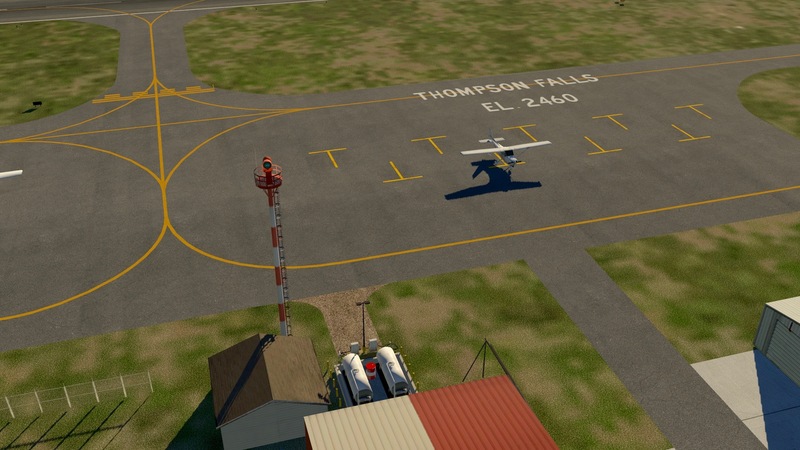 Why DID I switch to X-Plane 11? I use a Mac at home, and have had X-Plane on my system for at least 10 years. 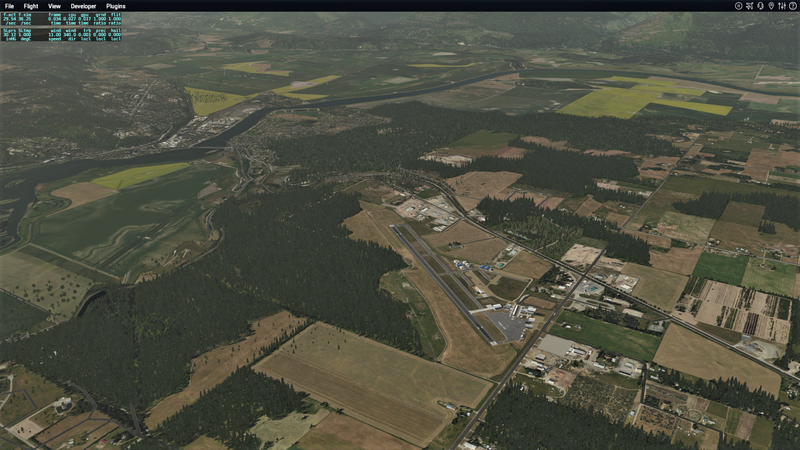 I flew FSX before that, but with Mac X-Plane was the only option and I liked it. But when it came time to build the Basement Sim I knew that I’d be looking at the most powerful possible rig I could afford, and that rig would almost certainly be running Windows. And so it was, and with that being the case, I was left to choose between FSX and P3D. I picked P3d because it’s a platform under ongoing development. And I love P3d. Let’s be clear about that. 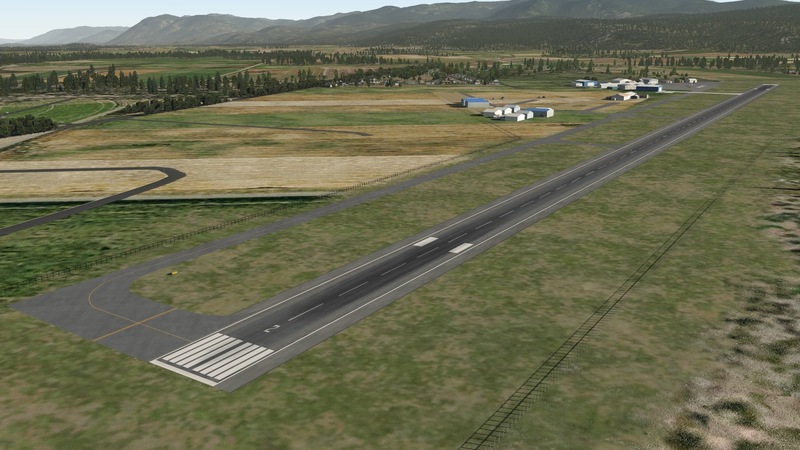 It’s an awesome package, and with ActiveSky and ORBX and REX it’s astonishingly good. But I kept hearing about X-Plane from simmers I respect, and more so, I noticed that many of the real pilots I follow online who also sim were X-Plane advocates. So maybe six months back I downloaded X-Plane 10, and it lasted on my system for about 10 minutes. As soon as I figured out that I could not easily run with multiple screens it was clear X-Plane 10 was a non-starter for the sim. So I happily stayed with P3D. But when the X-Plane 11 beta was released I learned that it had native multi-monitor support, so I decided to give it a go. I was very taken with several aspects of the X-Plane 11 experience. The fast loading time and modern and easy-to-use user interface were great. The default scenery had come a very long way and looked great. And it never crashed. But initially, what really got my attention were the graphics. Without even full sliders the visuals in X-Plane 11 – the night lighting, the reflections, the way light moves about the scenery – were stunning. And thanks to X-Plane being 64 bit, there was no scenery popping, or scenery resolving into a less-blurry resolution, to break the immersion. I loved what I saw, and it was enough to get me to spend some time with it, and in that process I was very taken with the X-Plane flight models. X-Plane models flight in a fundamentally different way than FSX or P3D, and at least to me, the way the airplane moves both on the ground and in the air feels much more realistic than in P3D. 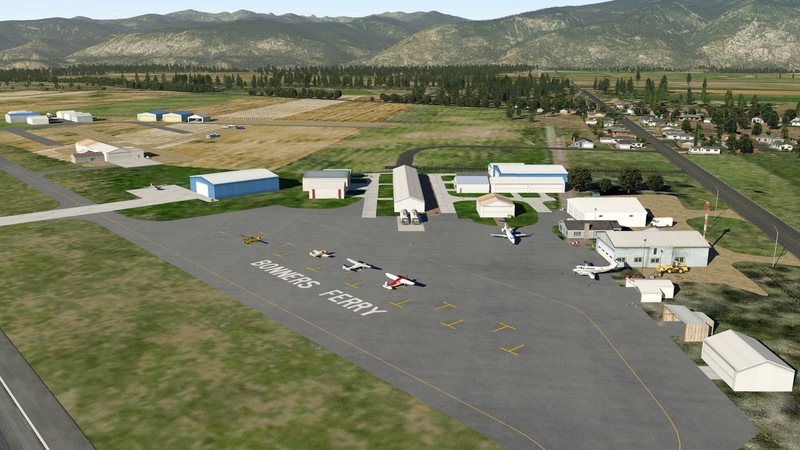 That means something to me as a student pilot, but it means a lot as a simmer, too – I want the sim to be as immersive as possible, and with X-Plane 11 it was as immersive as I’d seen it. That was enough for me to figure out a solution to the nettlesome (and frankly disappointing) fact that X-Plane does not allow separate eyepoints for each monitor. And once I had that nut cracked I was sold. Did I mention no configuration tweaking? And finally, the ability to access the full breadth of the PCs RAM can’t be overstated. I still have P3D on my system. 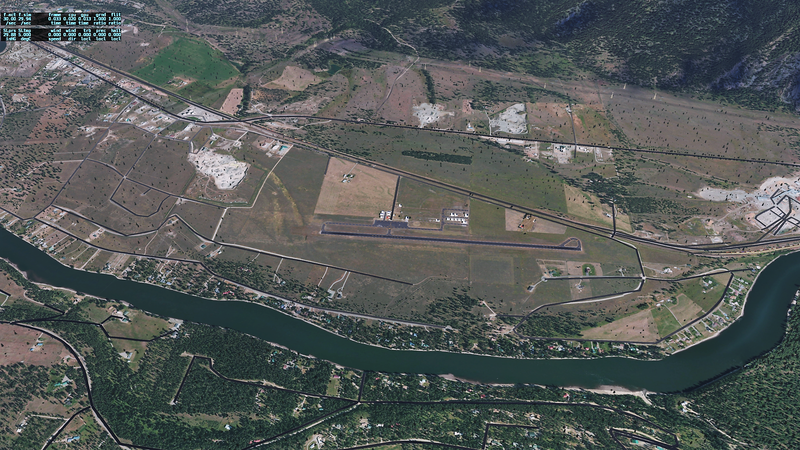 I do miss its great AI aircraft from time to time, and I do love ORBX. But I booted it up a few weeks ago with a friend, and in comparison to using X-Plane it felt archaic. I even got an OOM to boot. I will keep following P3D, will fly it from time to time, and eagerly await the 64 bit version that will certainly come this year. But unless that version includes a significant re-write of the now ancient Microsoft code, I’m not certain that 64 bits in P3D will counter and exceed the things I enjoy so much about X-Plane. In fact, I’m nearly certain they won’t. I will hope to have Lockheed Martin prove me wrong, because if they do, it will mean only spectacular things for our community and our hobby. But in the meantime you will probably find me in X-Plane, cruising over some stunning photorealistic scenery, enjoying the flight model, and probably, talking to the controllers on PilotEdge. 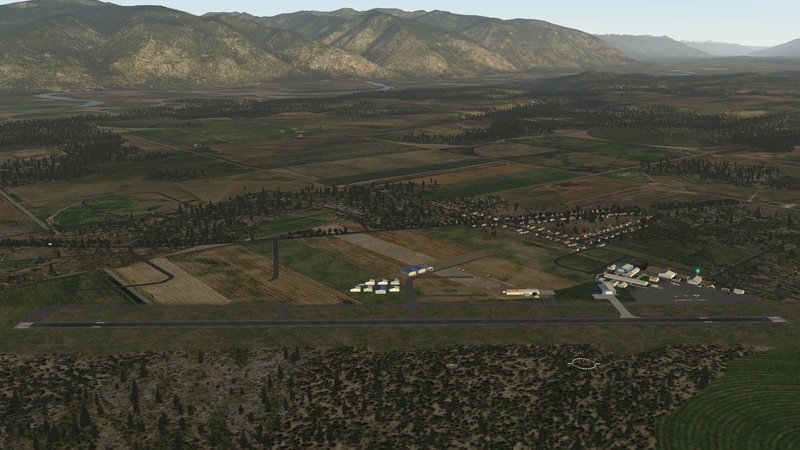 I had a viewer request to fly from KTHM, and looking at the default X-Plane scenery I decided to update it with something better. 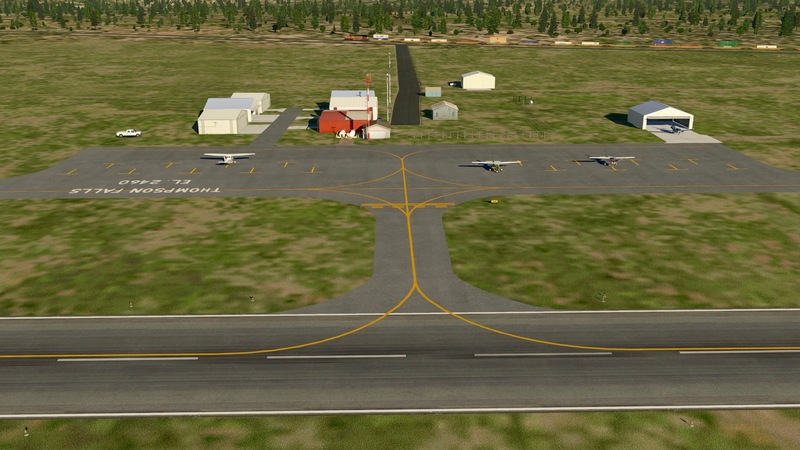 So here is KTHM for X-Plane 10.5+, and you may download it here. 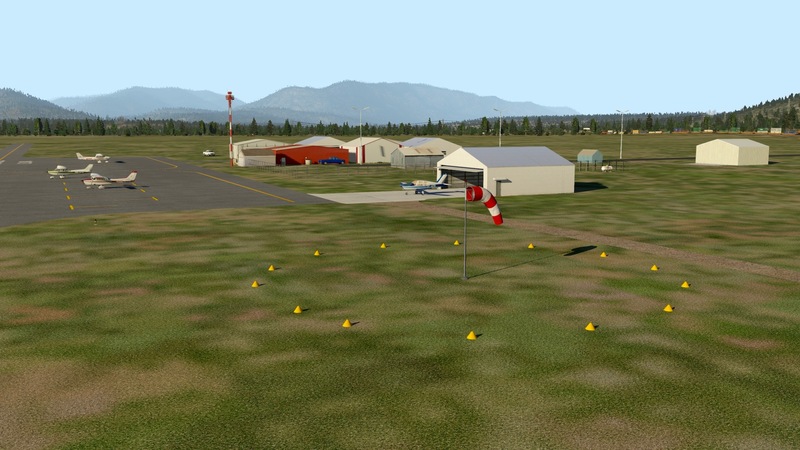 For this scenery to work properly you will also need the OpenSceneryX, JBHangars, and MisterX libraries. 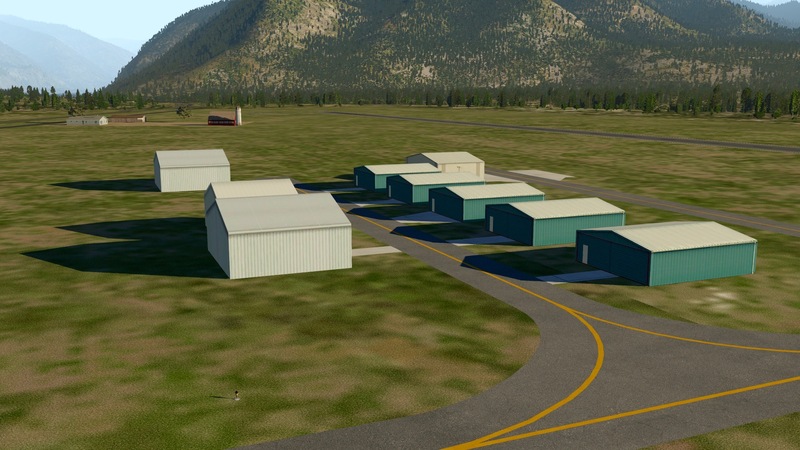 You will also need to download and place this folder in your custom scenery folder, and then place the JBHangars library inside it – this will make it so X-Plane sees the hangars. You only need to do this once. Thanks and I hope you like the scenery.